Viime viikolla Yhdysvaltojen syyttäjänvirasto teki muutoksia syytöksiin, jotka nostettiin alun perin 15.huhtikuuta.2011. Uusissa syytöksissä mainittiin erityisesti Full Tilt Pokerin Howard Lederer, Chris Ferguson, ja Rafe Furst ja samalla Full Tilt Pokerin toimintaa verrattiin pyramidihuijaukseen. Tällä viikolla Full Tilt Pokerin tarina sai jatkoa, kun Alderney Gaming Control Commission (AGCC) julkaisi lausunnon, jossa se ilmoitti ettei se aio palauttaa FTP:lle pelilisenssiä. Erillisessä raportissa mainittiin useita syitä, jotka johtivat lopulliseen päätökseen. Niiden joukossa oli mm. ”lisenssinhakijan nykyinen taloudellinen tilanne ja taloudellinen tausta eivät ole enää kelvollisia eGambling lisenssin haltijalla”. AGCC Commissioners, sitting as a tribunal, have today revoked the licenses of Vantage Limited, Filco Limited and Oxalic Limited, trading as Full Tilt Poker (FTP), with immediate effect. This follows the earlier suspension of the licenses on 29th June 2011. At a hearing held in London over six days, it emerged that FTP had fundamentally misled AGCC about their operational integrity by continuously reporting as liquid funds balances that had been covertly seized or restrained by US authorities, or that were otherwise not actually available to the operator. Serious breaches of AGCC regulations include false reporting, unauthorized provision of credit, and failure to report material events. At the commencement of these proceedings on 26th July AGCC made clear its preference to hold the hearing in public, to the benefit of players and media alike. However, the tribunal was persuaded that the hearing should be held in camera on the basis of claims by FTP that this would maximize the chance of a commercial rescue of the business for the benefit of players. For this reason an adjournment of 54 days was allowed. It is important to note that the revocation of FTP’s licenses does not, as has been suggested, prevent a reactivation of the business under new ownership and management. Unresolved claims by players against FTP become a matter for the police and civil authorities. Now that FTP’s licenses have been revoked, AGCC no longer has jurisdiction over these companies. 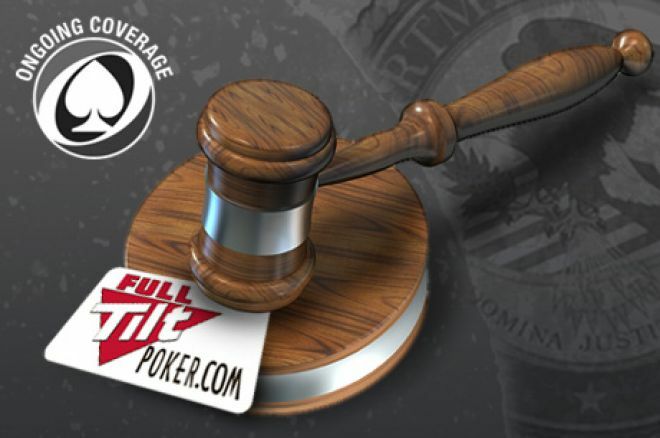 The license of Orinic Limited, a recently added geographic sub-division of the FTP poker room, remains suspended. The determination notice containing the decision of the Commissioners and reasons for it is available at GamblingControl.org.